Midwest Security & Fire, Inc. is a local family owned and operated security and fire alarm system contractor. We specialize in security systems, fire alarm systems, access control, card access systems, and surveillance camera systems. Our family has been a leader in the industry for over 33 years throughout Central Minnesota. In addition to service throughout Central Minnesota, we serve the Twin Cities of Minneapolis and St. Paul. We service all makes and models of security and fire alarm systems and are an exclusive dealer for several manufactures of security systems and fire alarms for our territory. Midwest Security & Fire, Inc. has been featured in several publications for our design, installation, and customer service. We have received several national awards over the years including GE Security Pro Dealer of the Year, Residential System Integration Award, and the Security is a Family Matter Award. You can count on us for prompt, professional installation and service. 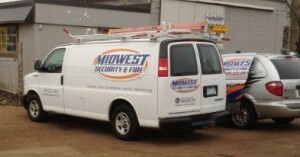 To find out more about Midwest Security & Fire, Inc. you may contact us at 218-825-8844 or click www.midwestsecurityandfire.